This article is about the summon stone obtainable from events. For the summon stone obtainable from trophies, see Kirari. For the non-party character, see Kirari Moroboshi (NPC). Accidentally given the power of the stars, this young girl grows giant as she aims for bigger heights. 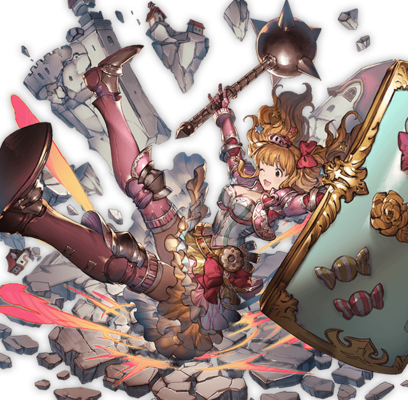 The legend of her overwhelming strength will surely be passed down to future generations, to be known as "Kirari Power." Massive Earth damage to all foes, bonus damage to all foes and allies. 9T9 turn cooldown. This page was last modified on 3 February 2019, at 19:27.